Vintage wood and zinc photogravure newspaper type, 1940's-50's. 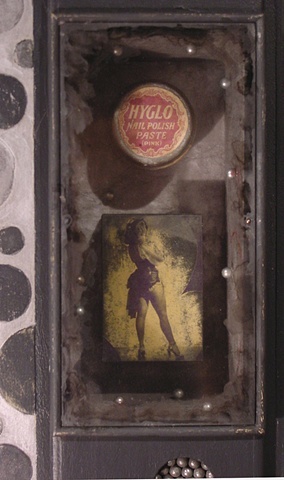 This was used to produce newpapers ads for live burlesque and "girly" shows. Dolly Dawn's name was written on the back of the type in pencil.